The Habitat Gardens are microcosms of the greater biome of Ruffner Mountain, providing visitors with a curated representation of the biodiversity and ecological interconnections between the flora and fauna of the Mountain. Ruffner’s Habitat Garden Club holds weekly gardening and Work Days to maintain and improve the Habitat Garden, while giving the public hands-on experience with principles of permaculture and ecology. Interested in joining the Habitat Garden Club? Learn more, and sign up, by visiting Support. The landscape surrounding the Nature Center serves many functions by design. 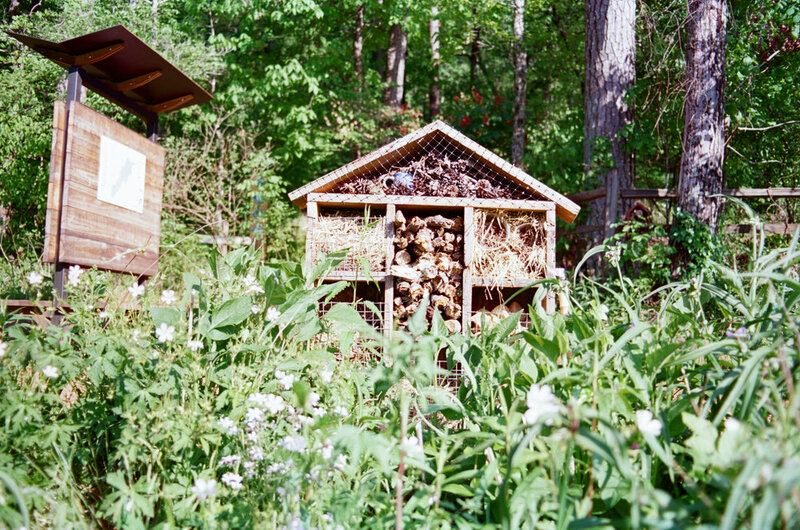 The Habitat Gardens serve as demonstration plots to teach homeowners to move beyond traditional landscape principles, embrace wildness, and to adopt ecologically sound practices in design, development, and management of their own yards. 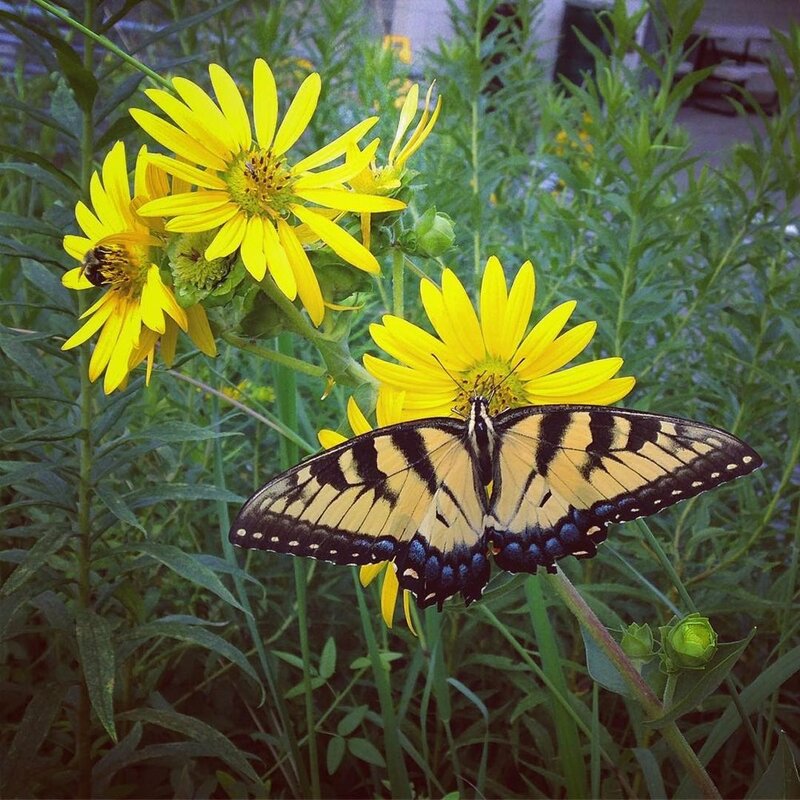 Each year, the Native Plant Sale, presented in partnership with Turkey Creek Nature Preserve, provides gardeners and homeowners with an opportunity to find the native plants that are right for a new or existing garden and implement gardening practices that promote biodiversity. The Habitat Gardens mimic the geological and ecological zones of the mountain and adjacent forests. The gardens provide visitors with close-up views of nature and are developed and maintained to protect and enhance the benefits we derive from healthy ecological systems. Natural plant communities help mitigate stormwater issues, clean the air we breathe, provide shade, and cool the city’s heat. By integrating passive education features and by inviting volunteers to work in the gardens, we encourage participants to interact with nature. As visitors hike the mountain, they’ll be empowered to continue to observe and learn as they go. See additional photos of the Habitat Restoration Garden below.